Getting the most out of your advertisements is crucial to success. With that in mind, how does one really measure the success of their ads? Facebook provides conversion pixels to ensure you’re getting your message across, and your business goals are met. Conversion pixels allow you to track when users end up on the website page you want them to, like your purchase confirmation page. So, what is a conversion pixel? In short, a conversion pixel is a bit of HTML code that presents a 1×1 pixel on the landing page of your choice on your website. When someone clicks on your ad and ends up on the page containing the code, it will show you the conversion on your Ads Manager page. Let’s apply this to an ad. Say your business utilizes e-commerce to sell handmade jewelry. Placing your conversion pixel on the ‘Thank you for your order’ page will then enable you to see how many people clicked on the ad they saw on Facebook, and actually purchased something. If you had 100 clicks, and 10 people checked out, the conversion percentage was 10%. If your budget for the entire campaign was $50, the ultimate cost per sale would be $5. Facebook will also track potential conversions for up to 30 days after the initial click on the ad. From here, you’ll know the effectiveness of your ad, and the cost per conversion based on your budget. If you’re running more than one ad, you then have the ability to turn off the ads with a higher cost per conversion, and use the ad with a lower cost more effectively. This also provides insight to which type of ad content you should be running in order to drive sales. 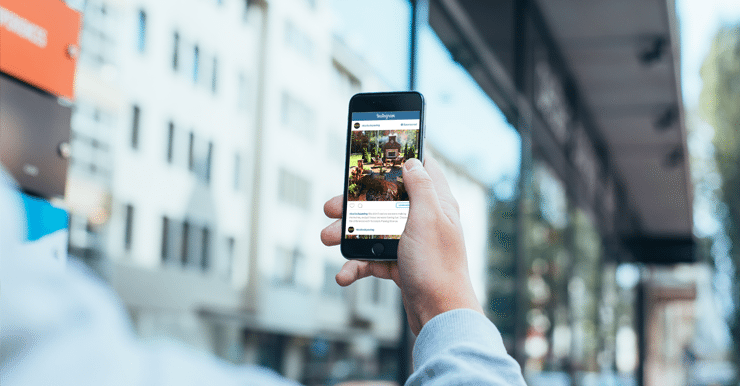 In addition, Instagram ads are now integrated within Facebook’s ad platform, enabling you to run the same ads from Facebook, on Instagram. Efferent is proud to be one of the few agencies with early access to this feature for our clients. Are you ready to take your business or website to the next level? Give us a call and we’ll get you the exposure you need.